I will never forget when I joined a financial firm as the HR lead. I was truly impressed with the organization from their reputation and the impression grew through the conversations leading to my time with them. I was engaged, thrilled to get the offer of employment and couldn’t wait to join the team. About 2 weeks before I started, the President sent to me the communication they were planning on sending out to the rest of the organization about my arrival. The communication was absolutely glowing and although I found it a bit embarrassing because it was so positive about my experiences and skill sets, I didn’t have to (and didn’t want to) change a word of it. It was clear the organization was deeply interested in me, had paid very close attention to the information I had provided and had drawn clear lines about my previous experience and successes and how I was going to draw on that track record to impact their organization in positive ways. When I showed up for my first day, my laptop was ready, my cell phone was initiated, my office and all the supplies I needed were good to go. In short, I was ready to run from day one. None the less, the biggest help that I had in getting started was the endorsement that the President sent out to the organization. Everyone approached me with respect, as a credible HR expert, and with the understanding that I was there to be a change agent. Any significant internal barriers to change were obliterated by that communication. The expectation was that the HR team would execute its objectives and do so with excellence. In an effective one page document, the President had set up the HR team (and myself) for success. The first year was a complete whirlwind and in spite of some difficult and unpopular decisions, the team accomplished more than we had aggressively planned for at the start of the relationship. In retrospect, I realized that the one-page communication not only set us up for success within the organization, but it actually inspired me. I wanted to live up to the endorsement given and I wanted to meet the high standard described of me. I believed in the organization and didn’t want to let the team down by not living up to what the President had said about me. On some of the bad days, I remember reading it again and drawing energy from it and reminded myself of some of the successes in the past. 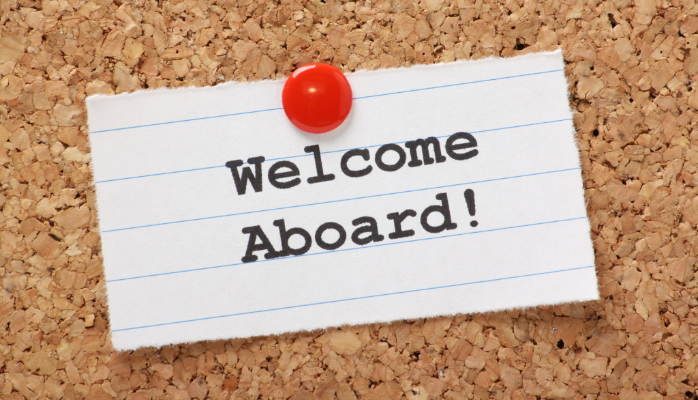 Those seemingly small details, like a communication about a new arrival, are critical for on-boarding with success and those details make a huge difference! I was engaged and inspired by the organization before I even started. Often these types of communications don’t take a lot of time or effort to get ready, the new team member’s information is at hand in the resume and interview notes. This act of intentional leadership is not only informative, but if done well, has the power to be transformative! If you are interested in leadership training or managing communications like this effectively, please don’t hesitate to check out Acuity HR’s intentional people leadership program or contact the Acuity HR team.